Selfie has become the part of routine for most of us. Be it expressing, capturing moments or sharing emotions, people prefer clicking selfies over other modes. To serve an ease and better experience, Oppo took the initiative to launch selfie expert smartphones. Starting with F series, they are now up with Oppo F7 and became the first company to launch 25 MP selfie camera. Oppo F7 is not having only one reason to buy, but many. From notched screen to amazing paint jobs, great aperture to excellent grip, it is offering numerous advantages, which makes it a must buy phone. Oppo F7 announced on March 26, 2018 made available on online stores on April 2, 2018 and offline stores on April 9, 2018. With all the desirable features and cutting-edge technology, Oppo F7 makes the perfect fit for the buyers who are looking for inexpensive Android smartphone. 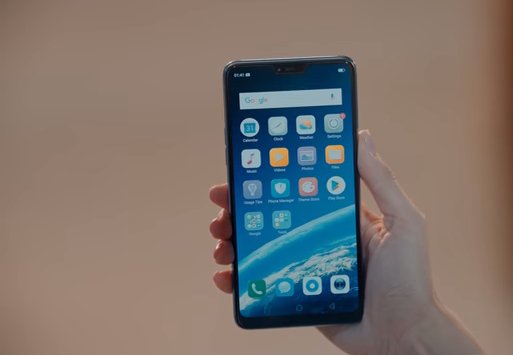 Following the trend, Oppo F7 introduced the notch. The screen is stunning and the flat rear side has the paint job under upper frame which is adding a gorgeous look, but again its glossy texture may give it greasy handprints. The overall weight is 158 gms which is just 6 gms more than that of Oppo F5. The built material is not glass, but the plastic which offers a strong grip to users. Oppo F7 is the phone that fulfills all the essentials an outstanding smartphone should serve. A lot is making Oppo F7 a marvelous smartphone in its range, let’s have a quick look. Carrying the look of Oppo R15, the only thing that makes them different is, the rear camera. Adding the extra safety to the screen, Gorilla Glass 5 is used, however, the rest of built is done with plastic which is giving the glossy look. With 6.23 inches screen, Oppo F7 has trimmed down the bezels and brought up edge-to-edge screen with 25 MP front camera at the top. Color range is as expected – a good one. Oppo F7 is available in Moonlight Silver, Solar Red and Diamond Black. No doubt, these gives the vivid options for all groups of users. As stated above, Oppo F7 carries a good display with size of 6.23 inches and resolution of 2280 x 1080 pixels – 405 ppi. The screen with aspect ratio of 19:9 is Gorilla Glass 5 which will definitely give protection against scratches. 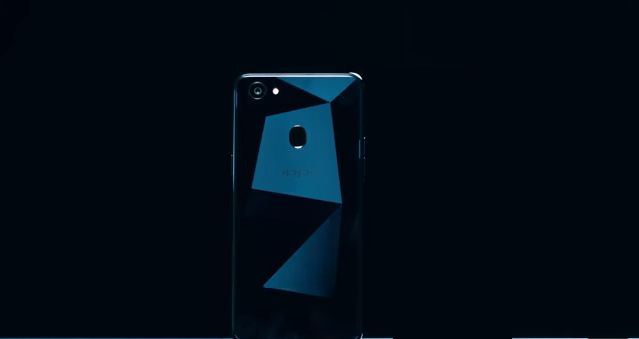 However, Oppo added extra screen protector to F7. Not flashing too much brightness, the device marked 450 nits at the scale, and this is pretty decent. Although, the intensity of the black is the deepest against other smartphones. And this is why, Oppo F7 makes the highest contrast ratio. The performance in high exposure and day light is excellent. And, now talking about the color accuracy, there is a blue tint on a few colors, but it can be fixed using Warm Color temperature. Although, Oppo F7 is a selfie champ, but the rear camera is also making it an ace in performance. 16 MP camera with aperture of f/1.8 is having phase-detection autofocus with a single LED flash. With AI-boost, Oppo F7 gets a bonus one. Its AI-boost is available within the camera app which gives the capability of scene recognition. This is not the end of features of camera app. Two distinguishable modes – blurred background and 2x telephoto zoom are also introduced within camera app. Panoramic feature of Oppo F7 again adds it a plus one. It can capture 180 degree panoramic images with the height of 3200 px. Features like location tagging and background blurring are easy to use. And, yes, manual controls are offering the utmost ease to capture in the desired mode with desired focus. Combining all the facts and features of Oppo F7 camera, it works amazing in daylight as well as low light surroundings. If the image quality is evaluated, it captures the image with intense detailing, excellent colors and perfect contrast. In simple context, the final image after processing is above average and for all this Auto HDR takes the credit. When evaluating the video quality, Oppo F7 can record in 1080p and 720p at 320 fps. Unfortunately, Oppo did not introduce any option for 4K video shooting. Audio quality is mono, but it is doing near average job. Overcoming all the downsides of video recording, Oppo F7 is offering 2x telephoto switch which enables it to record distortion-less zoom videos. Oppo F7 can also be named as the ace of selfie camera. Here, 25 MP front camera is doing a great job, when it is about evaluating the selfie quality. Introducing the new 3-HDR technology with Oppo F7, the company has fulfilled the expectations of Oppo lovers. However, autofocus is absent from the features of front camera, but it does not make any difference as you can set the focus manually. The relaxing news is, despite of the absence of selfie sensor, the final pictures clicked by front camera are again excellent as that of clicked by rear camera. And, yes, stickers are also available for the selfies. Oppo 7 software – Android 8.1 Oreo makes it a fast processing phone. With AI engine, it boasts excellent features like enhanced navigation gestures, split-screen multitasking, real-time translation, improved call history, gallery, swift Face-ID unlock, revamped security features, quick fingerprint sensor, gaming mode and much more. The overall AI performance is outstanding which makes the device faster providing improved resource management. This is not the end of features of AI, but there is a lot more. From shortcuts to calendar appointments, world clock to weather updates, flight info to package tracking, AI offers the easiest user experience by displaying all of these on the homescreen. A few app shortcuts have been introduced along with new icons and themes. 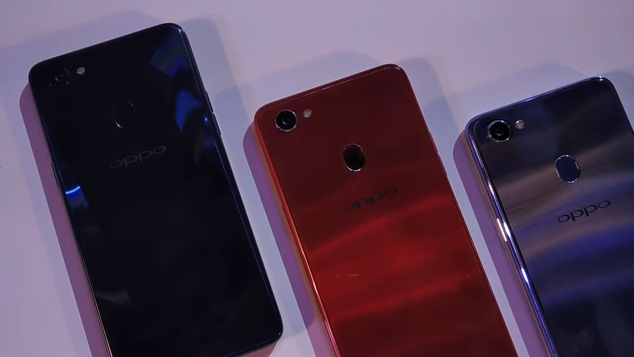 A lot more is making Oppo F7 a smartphone with cutting-edge technology. Its very own ColorOS makes it work far better than that of Google-based smartphones. ColorOS comes with pre-loaded document editor, social networking apps, WeChat Voice integration and a few other clone apps (clone of Android apps). The physical home screen is absent, but enabling Full-Screen Gesture navigation offers three lines which acts differently for accessing. Following Oppo R15, Oppo 7 also employs an octa-core processor of 4x Cortex-A72 – 2GHz and 4x Cortex-A53 – 2GHz and a chipset of MediaTek Helio P60. Tri-core Mali-G72 GPU is performing at its best for graphics. Considering its RAM, Oppo F7 comes with 4GB/6GB for 64GB/128GB. And, when scaling its overall performance, Oppo F7 runs blazing fast and there are no issues while accessing the apps or playing the games. Though Oppo F7 owns a solo loudspeaker at the bottom, but it does not lag behind from any other smartphone, in aspect of sound quality. Instead it performs far better than Oppo F5. When connected with an external unit, it works without any flaws. In fact, it delivers improved and perfect output. Simultaneously, when connected to headphones, a little of distortion and stereo crosstalk can be encountered which may give it a minus one. 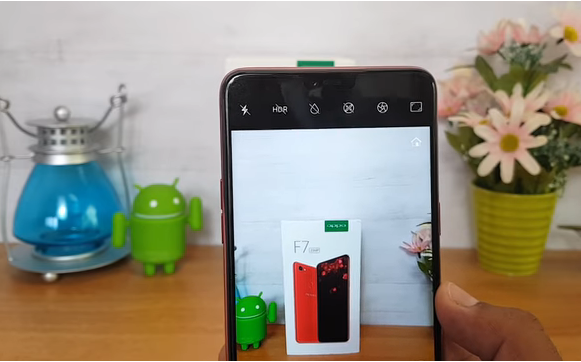 Oppo F7 is employing a powerful non-removable Li-Po battery of 3,400 mAh. The charging support of 10 W is the optimum for the device. The battery can be fully-charged in about two and hours approximately. ColorOS with default power saving mode handles the background apps magnificently. Equivalent to the battery performance of F5, Oppo F7 maked the performance of 91 hours. Oppo F7 can be simply defined as the elegant and powerful smartphone. Carrying the amazing features, 25 MP selfie camera, attractive color range, AI support, large battery, blazing-fast CPU, notched screen and powerful chip, it is the perfect option for those who are looking for an inexpensive yet high-end smartphone. There might be a few shortcomings like plastic body and no fast charging, but overall performance is far above than average. And, yes, how can we forget its out-of-the-box selfie camera quality. Previous iPhone X Vs Samsung Galaxy S9 – Which One You Should Buy?